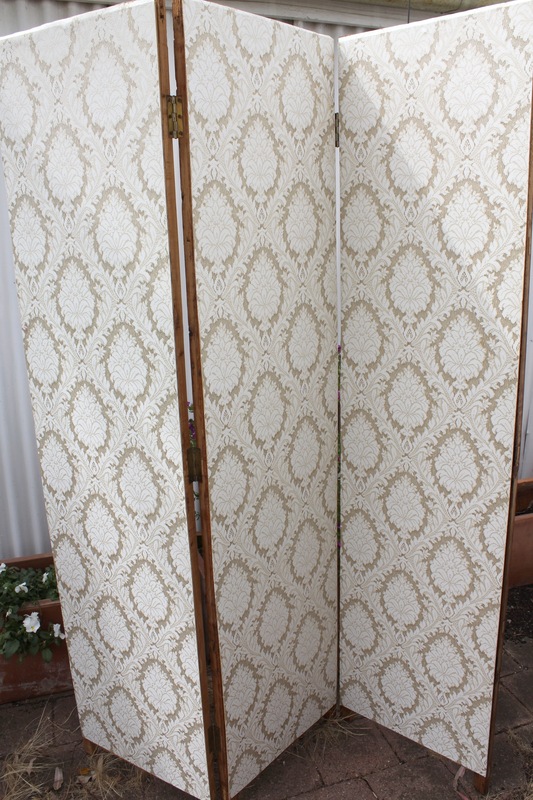 From garbage to gorgeous – transforming a three panel screen | Hey Bernice! The ‘squeeze’ part of this mission was noteworthy. It probably deserved an audience… somehow I managed to ‘squeeze’ this three panel screen/room divider into my Holden Barina (tiny hatchback)! Where there is a will there is a way. On this occasion I would have broken the record for ‘Screen Squeezing into small cars’ if one actually existed (time was ticking, and I had to get to work). I toyed with the idea of driving 200m down the road and dropping the screen back at home – NO TIME! MUST GET TO WORK – so it traveled with me slid between the two front seats all the way to work, doing what it was designed to do – divide spaces in half! c) He wouldn’t be able to see the vision I had to transform it, which would make b) a more valid point in his mind! Obviously the screen made it inside. To transform it I strategically picked a weekend hubby was away playing golf – there was no room for doubters with this project. 1. The first thing I did was cut off all the woven rattan with a box cutting/Stanley knife. This took a while, and ruined my hands and chipped all my nails. It was very dusty between the rattan – Not a fun job. I was left with three wooden frames joined together with hinges. 2. 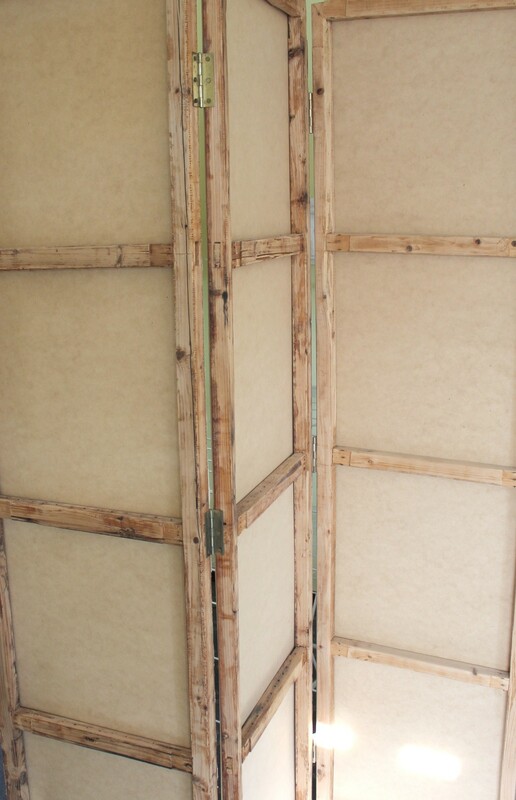 I then went to the hardware store and purchased some chipboard/MDF to cover one side of each panel. If you take your measurements they will usually cut it to size for you (sometimes they charge a few dollars, often it is free). 3. Using a staple gun (or nails if you don’t have a gun) I attached the chipboard to each panel. 4. I then needed some inspiration to work out what to cover the panels with. I wanted a pattern, probably wallpaper (or material), and something unique. A friend from work told me about an amazing shop North of Melbourne, in Northcote, call Flashback Fabric and Wallpaper. 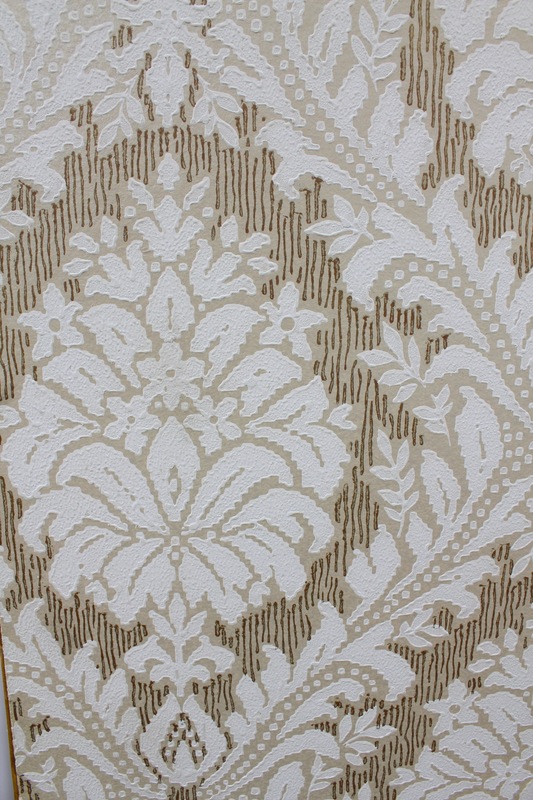 They stock brilliant vintage wallpaper and fabric (as the name suggests!). 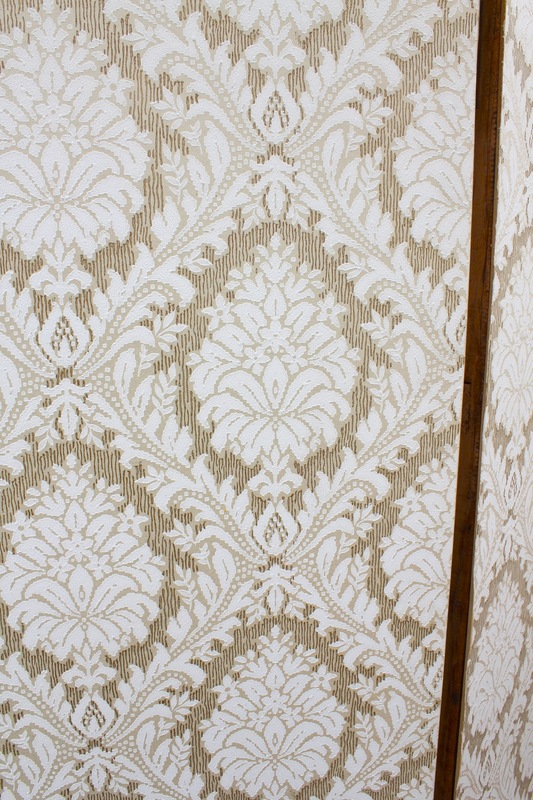 When I visited I was confronted with the metallic, large floral wallpaper mum and dad had in their bathroom 30 years ago – that was a real ‘flashback’ for me! Being a vintage wallpaper I needed some wallpaper glue to adhere it to the panels. I cut it down almost to size (leaving about 1 inch around the edges to hold onto, then using the box cutting knife trimed the excess around the edges after the glue had dried). It came up a treat! I chose to leave the wood frame exposed on the back and sides, I was after a rustic look. Another option would have been to cover the back panels and/or paint them for a neater finish. Next time you see an old screen, don’t write-it-off…. 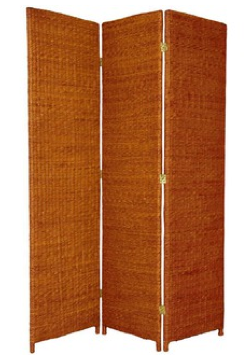 with a little imagination, and a bit of work you can have yourself a gorgeous and extremely unique room divider.